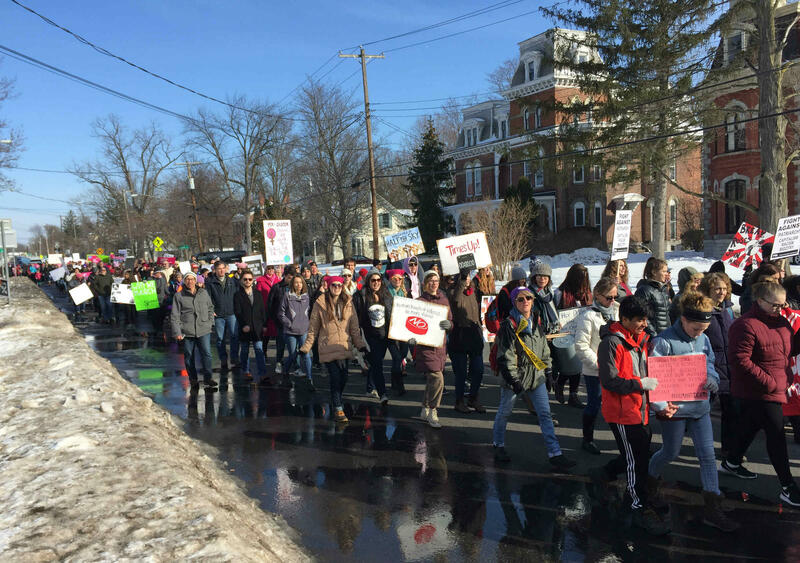 The organizer of The Women's March at Seneca Falls expects a large turn out and peaceful march this year, as they've experienced in years past. The non-partisan group is open to everyone who believes in equal rights for women and expanding upon their rights in the very birthplace of that pursuit through political activism. However, Lead Organizer Melina Carnicelli says the issues they’re fighting for is really for the greater benefit of all citizens. She says the recent “blue wave” that also resulted in a jump of the percentage of women elected to Congressional seats from 20 to 23 percent was energizing force and she sends out gratitude to the women who ran. However, she feels the march is an opportunity to build upon that success and continue to work-on the issues that remain to further gain parity for women. Carnicelli says the Equal Rights Amendment is very close to becoming a reality. According to Equal Rights Amendment.org, the intent is to put an end to the legal distinctions that currently exist between men and women involving divorce, property, employment and other matters. 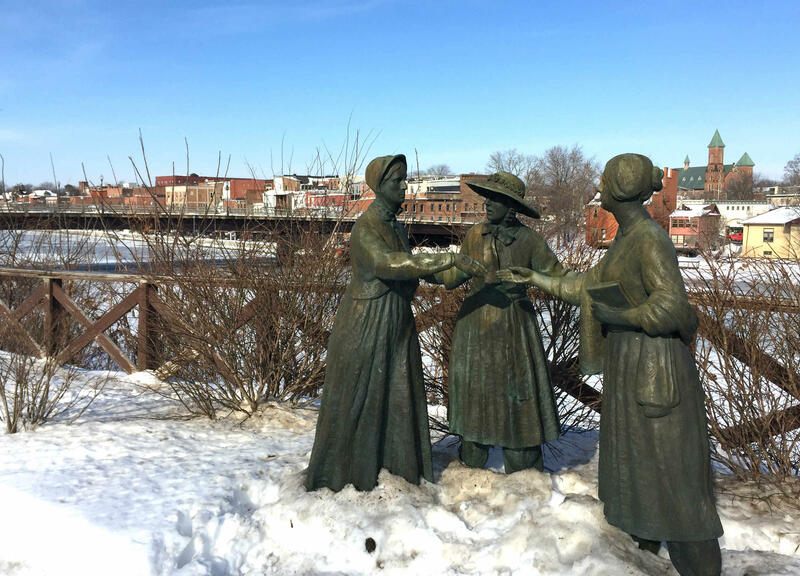 A Women's Right monument seen last January in Seneca Falls. She anticipates the event will likely be peaceful and respectful as in previous years. The morning begins Saturday, January 19th at 10 AM with a rally and the march step-off at 11:30 at Women’s Rights National Historical Park – First Amendment Space. Following the march a Feminist Music Fest will be held around 12:30 PM at Trinity Park. Event organizers advise to arrive early between 8 to 8:30 AM because traffic tends to back-up at the Waterloo Thruway exit closer to the event. Click here to be directed to their Facebook page with more details, updates and a schedule of events. Syracuse area residents will have two new state senators representing them this term. Democrat Rachel May is taking over for 14 year incumbent Dave Valesky in the 53rd senate district and Republican Bob Antonacci is replacing retried State Seantor John Defransisco. Two new Syracuse area state senators prepare for the new legislative session.